Your photo on your cake! 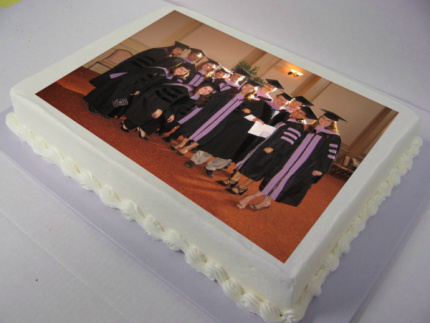 Using the newest cutting edge technology, we can print your own photo onto your cake! The photo is completely edible, and the colours are STAR-K certified. Just bring in your photo, and we'll handle the rest. with honey - no sugar! We specialize in decorated and fancy cakes for all occasions! Weddings, bar/bat mitzvah, and birthday cakes.